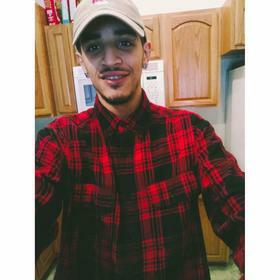 Samuel Rodriguez, age 22, of Grand Rapids, passed away, Monday January 15, 2018. He was born in Grand Rapids, Michigan, on August 28, 1995. Samuel loved to play basketball, dance, and play the drums for his father's church. He was devoted to his family, was a loving father to his two sons, and he was a loving uncle to his nieces and nephews. Samuel would do anything for his boys, consistently putting them first. Samuel was full of life, as he loved to have fun, making sure those around him were having a great time, and without fail he made everyone laugh and smile. When the music would start playing he'd pull his signature dance moves. Style was important to him, he would match his hats, shoes, and shirts. He was ready to pose for a picture whenever he had the chance. Samuel also loved his Baltimore Ravens and Golden State Warriors. Samuel is survived by his loving wife of five years, Mrs. Katelyn Rodriguez; sons, Yaciel and Yovanni; parents, Emilio (Janette) Rodriguez; siblings, Marvin (Rukia), Christina, Diana, Jonas (Tara), Janette, and Lucy. Funeral arrangements will be announced by the Dykstra Funeral Home - Downtown Chapel.